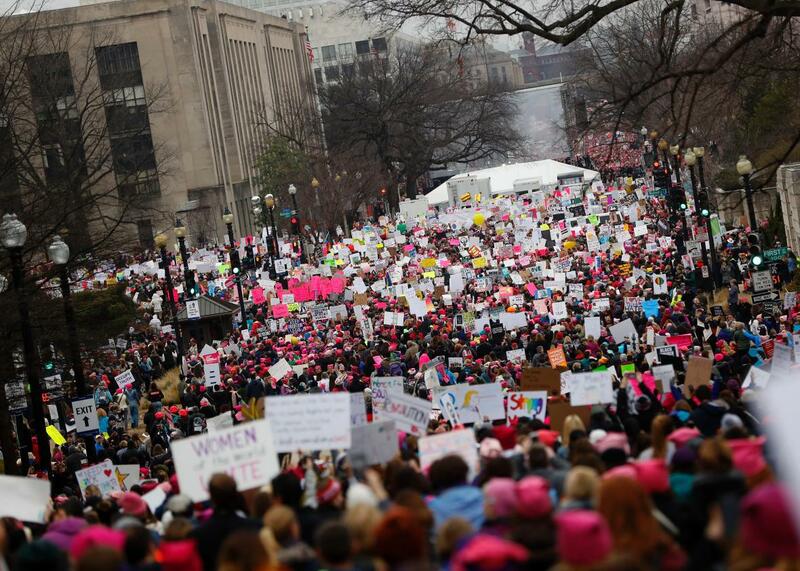 Women’s March on Washington beats expectations: a half-million descend on Mall. 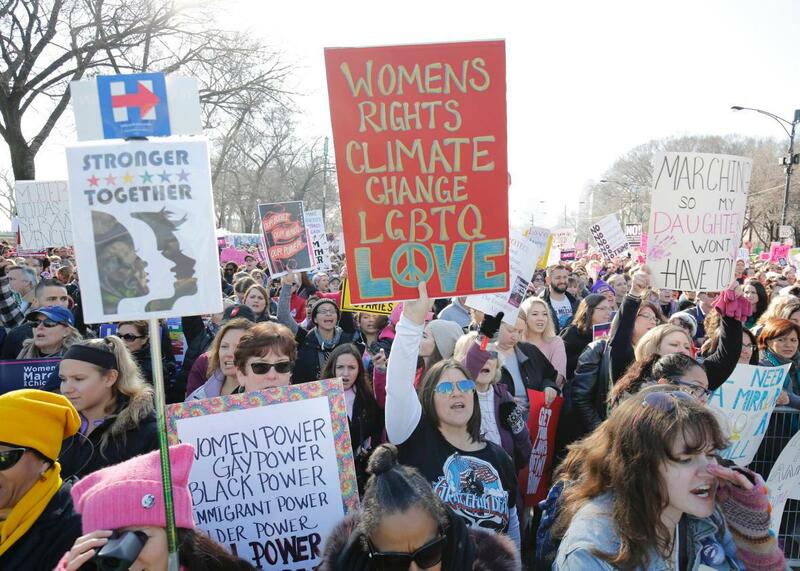 Protesters gather Saturday during the Women’s March on Washington. Organizers and city officials were expecting around 200,000 protesters in Washington on Saturday for the Women’s March on Washington. But the turnout surpassed all expectations as the demonstration grew into a more than a half-million–strong force that could turn out to be larger than the crowds that gathered for Donald Trump’s inauguration. The result of this much larger-than-expected crowd was evident to anyone who tried to join using any form of public transportation as trains and subways overflowed with people trying to make it into downtown Washington. Washington’s metro system wrote on Twitter than 275,000 people had ridden the trains, noting that was eight times the normal volume for a Saturday. It also said that most parking was at or near capacity. That is quite the contrast from the tweets WMATA sent out on Friday during the inauguration, saying there was lots of parking available and how the number of riders was much lower than previous inaugurations. And that’s just in Washington. Organizers say some 3 million people have and will gather around the world to take part in “sister marches.” In Chicago, for example, organizers canceled the march portion of the demonstration after the crowd grew to a much larger-than-expected 150,000 people. “Our march route is flooded. There is no safe way to march. We are just going to sing and dance and make our voices heard here,” rally and march co-chairwoman Ann Scholhmer told the crowd. Protesters cheer at the Women’s March on Saturday in Chicago.